With a 40,000 year history in the area, the Indigenous Australians have left their impact upon the history and culture of the nation as it lives today. But, unfortunately for the modern-day Sydney explorer, the city has been impoverished by the fast-paced industrialisation that obstructed or destroyed certain key Indigenous sites. Nonetheless, it is possible, even within our urban spaces, to see the spectral presence of the riches of the Aboriginal culture. In order to get a sense of the importance of Indigenous culture within Sydney, it is possible to start in the CBD, at the Royal Botanic Gardens. The Botanic Gardens is located at the site of the first European settlement in Australia. Within the gardens, there is a 52-metre story of the settlement (or invasion) of Australia by colonial people, known as the Cadi Jam Ora display. This site will give you a sense of both the scale of Indigenous culture, as well as the way in which the arrival of the convicts impacted upon its history. To Sydney's east, there is the Bungaree Reserve of Rose Bay. Named for an Aboriginal diplomat who lived in Sydney, the reserve commemorates the importance of Bungaree in the Indigenous community. At Grotto Point, there is a hidden envgraving site, sadly not signposted clearly enough. At the very point of the engravings, however, there is the landmark of a railway sleeper. Within the site itself, there are excellent explanations about what the engravings depict as well as the Aboriginal context. 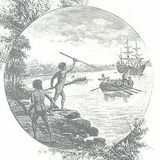 Apart from these examples of Aboriginal culture in the landscape of Sydney, there are also a variety of commercial sites that are of particular interest. There are a variety of galleries that house exceptional examples of Aboriginal art. The Coo-ee Aboriginal Art Gallery is located at Bondi Beach and is open from Tuesday to Saturday from 10am to 5pm. In the inner city, the Artery gallery is a not-for-profit that returns all money to the community by purchasing artistic materials. Finally, to fully immerse yourself in the culture of Australia's indigenous people, you may consider purchasing food ingredients used in Aboriginal cooking. Products are available through retailers such as Cherikoff Australian Ingredients or the Bush Tucker Shop. Regardless of which avenue you decide to explore, the important thing to remember is that the Aboriginal culture can be found all around Sydney - as long as you know where to look!